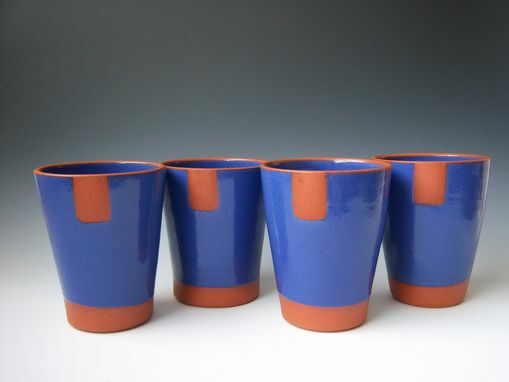 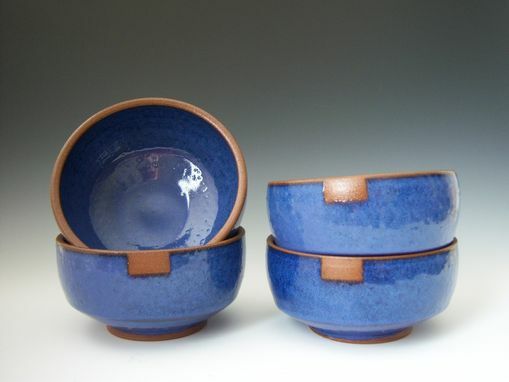 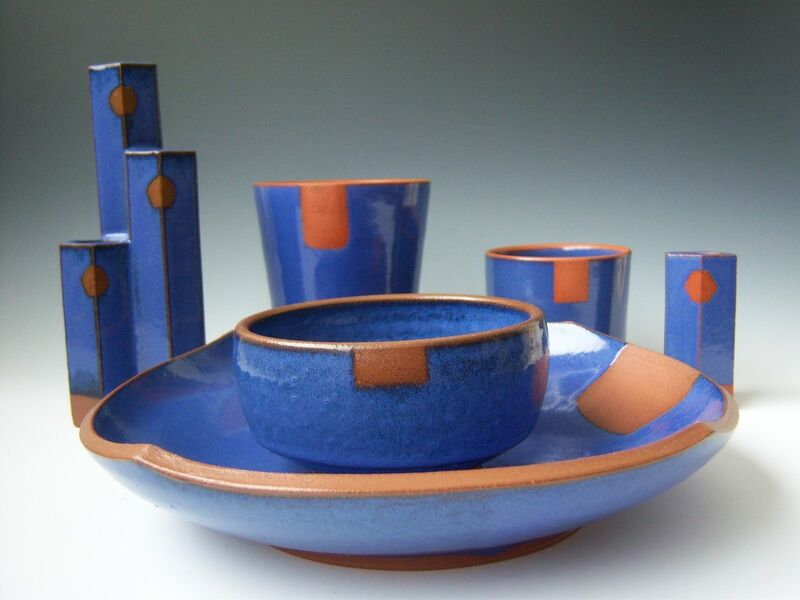 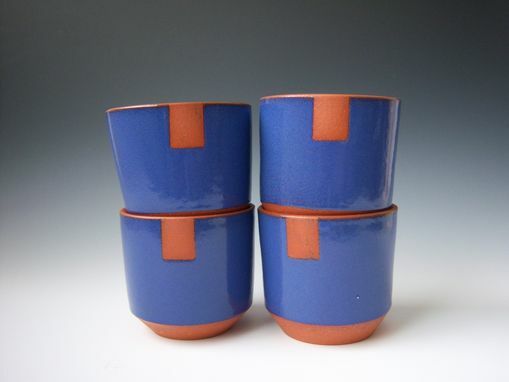 This new line of blue dinnerware features contrasting "live" edges of the rich terra cotta clay with which it was made. 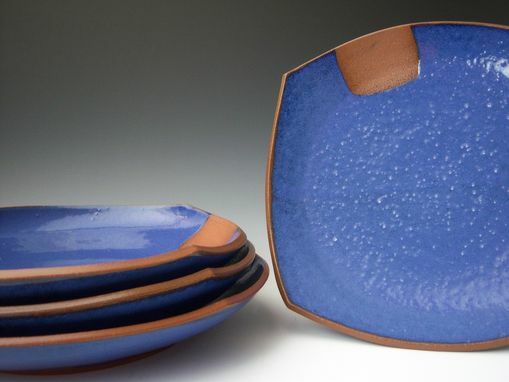 Simple and elegant, each piece has strong lines in both the form and the surface. 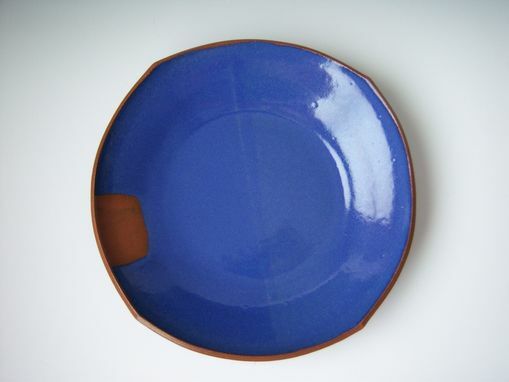 Somewhere between mod and rustic, comfortable in any home.